Like fashion, jewelry often transcends commerce. 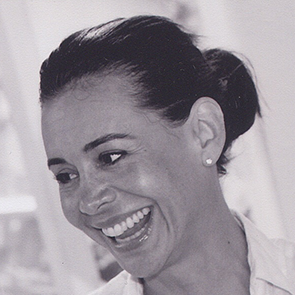 Jewelry designers are artisans using their craft to say something about our culture, values, or aesthetics of the day. 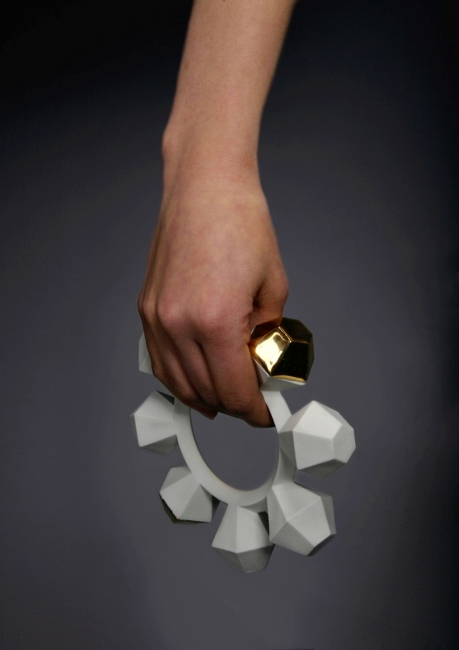 Rarely, however, does jewelry venture into the purview of sound. At a time when visual media like Instagram and Pinterest reign supreme, the Museum of Arts and Design in New York will explore this realm with Sonic Arcade: Shaping Space with Sound, an exhibit that starts later this summer. Sonic Arcade explores sound as a substance transmitted through objects that can be heard and felt. 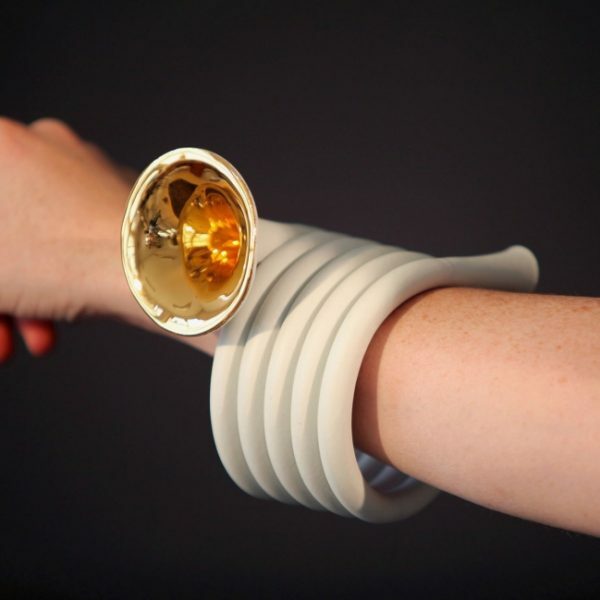 Part of the exhibit will feature Audiowear, a collection of jewelry created by Amsterdam-based designers Arjen Noordeman and Christie Wright, and curated for the Tiffany & Co. Foundation Jewelry Gallery by assistant curator Barbara Paris Gifford. 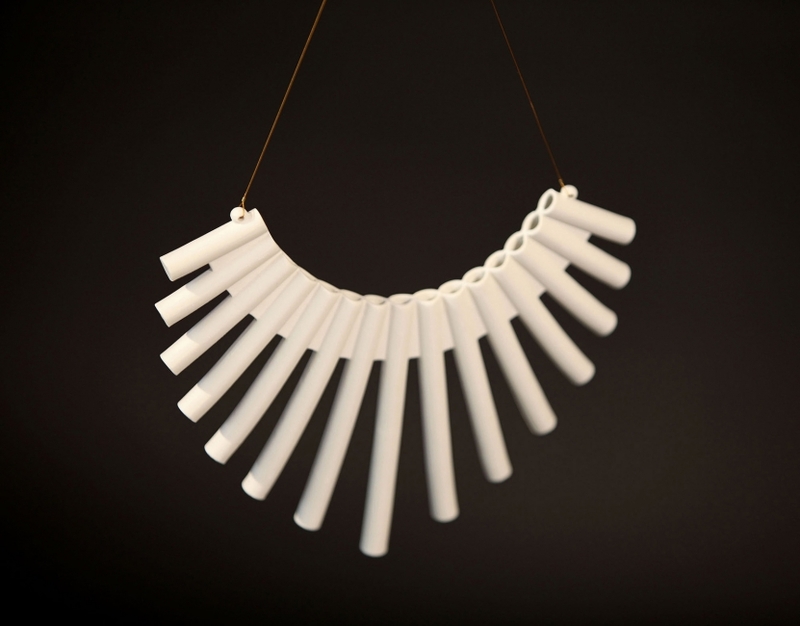 One can see porcelain bangles that double as small xylophones, a cuff that doubles as a horn, and a necklace that features five whistles, among other curiosities. The Sonic Arcade exhibit featuring Audiowear will start on August 22 and run through February of next year.